Are you running your business in a city you love? Have you ever thought about expanding it into new cities? Learn why Marty thought bringing his business into new cities was important for building a sustainable organization for his employees, and why you should too! 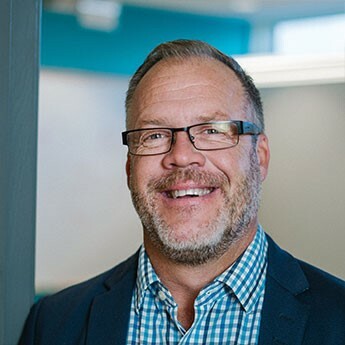 Marty started Sherpa Marketing back in 1996 in Kitchener, Ontario, then started up a new office in Winnipeg, Manitoba, and even have had some more extension in Calgary and Regina. Learn why Marty thinks it is so beneficial to grow your business into new areas of the country. "When you're running a business one of the things you really need to do, if you're building a sustainable business, is to diversify geographically. In Manitoba we were now in some recession proof type businesses, like agriculture and financial services. The other thing is you get a diversity of people as well. Manitobans definitely have a distinct and different culture than 'Ontarians' and 'Albertans'. That divserity and uniqueness really makes us a better company. I think it's exciting, and its economic diversity, geographic diversity. Those are the two big things that are really exciting about growing your business in different parts of the country." Enjoyed this content? Sign up for The Summit - our monthly Newsletter.